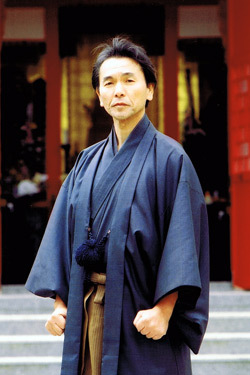 The late Soke Isamu Tamotsu founded the Shorinjiryu Karate-do Renshinkan. In his childhood, he was introduced to coaching Karate by fisherman who lived near his house in Okinawa. He visited to Taiwan when he was seventeen years old. He learned Kodokan-jujutsu from the late master Tadao Nakahara, and southern Chinese martial arts from the late master Chin who is expert of Chinese martial arts. 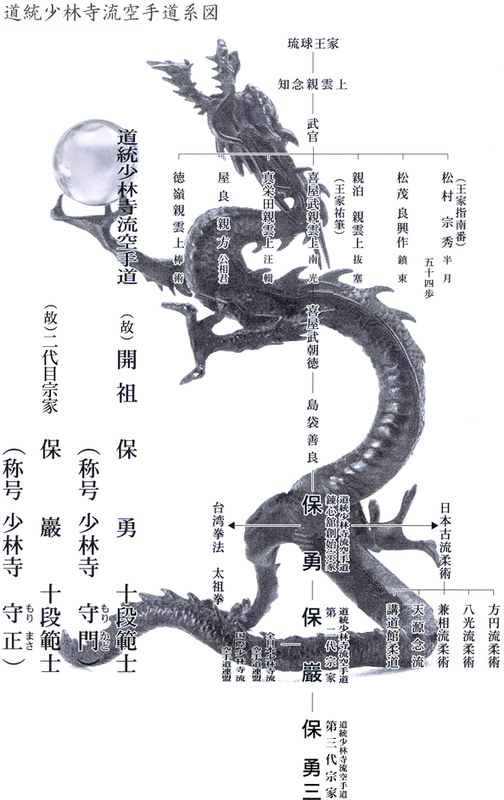 After the World War II, he decided to form human-beings through Bu-do because he grieve desolation of people’s mind. Therefore, he came back to Okinawa, and learned Okinawa-Karate from Zenryo Shimabkuro who was the disciple of the late Chutoku Kyan. Chutoku was famous master of Okinawa Karate. Isamu mastered not only Karate-do but also Kodokan-jujutsu, Hoen-ryu Taijutsu, Kenso-ryu-jujutsu, Hakko-ryu-jujutsum, bo-jutsu (martial arts of using stick), Jo-jutsu (martial arts of using short staff), Sai-jutsu (martial arts of using a dagger-shaped truncheon), and so on. It took half of his life. He coordinated these martial arts and produce new techniques with quite strict practice. 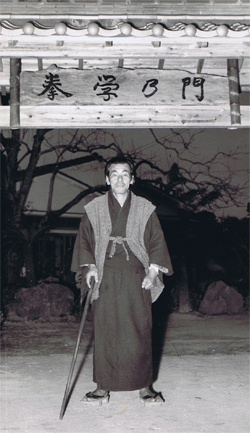 In 1955, he founded Shorinjiryu Karate-do Renshinkan at Kagoshima. The history of Renshinkan was started from small Do-jo. 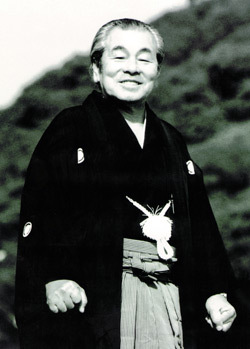 The late Soke Isamu Tamotsu, founder of Renshinkan, was born at Amami in Kagoshima prefecture in 1919. He conquered feudal Karate-do that clinging to supreme formism after the war and laid the foundation of undeveloped sparring. Because of a code of respecting human life, he pursued safe and rationality of sparring consistently, established rule of using protective gear, and found the federation as genuine public Budo combined sport and Budo. It brought new concept to Karate world. Furthermore, because he believed Karate-do is the most contractive Budo to cultivate the Gotoku (Integrity, Justice, Propriety, Knowledge, and Humanness), he devoted himself to formation of human-beings through Karate-do. Around he found Renshinkan, he already had high hope of spread Karate-do throughout Japan for creation of genuine Karate-do and sound society. 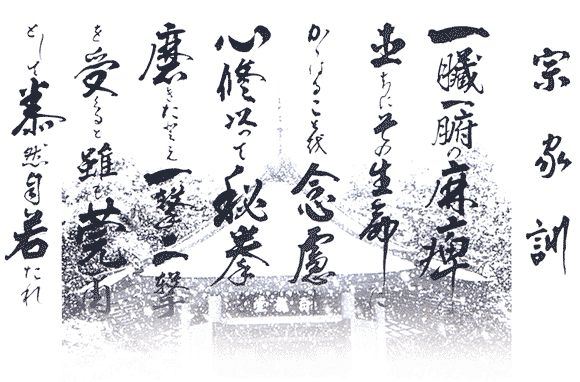 Although it was not easy, he developed Renshinkan to one of preeminent big fist organization in Karate world with what Wordsworth had said: plain living and high thinking. He is called great treasure in Karate world because of his preeminent skill and personality. He founded All Japan Shorinjiryu Karate-do Federation, Kagoshima Karate-do Federation and West Japan Karate-do Federation and assumed chairperson of the federations. In 1964, at Hioki in Kagoshima, he opened Kenshi-ga-oka (headquarter of Renshinkan) and built a monument called Kenshi-no-to. In 1965, he was invited by China. It was first as martial artist after the war. Since that time, he attempted to strengthen interactions between Chinese and Japanese.